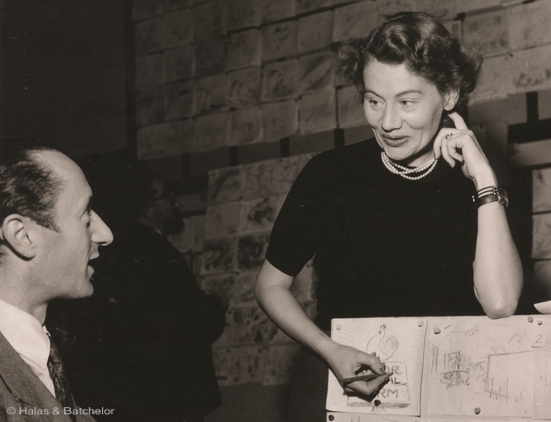 This comprehensive and personal look at the professional life of Joy Batchelor, edited and published in what would have been her centenary year by her daughter Vivien Halas, combines sections by Brian Sibley, Jez Stewart, Claire Kitson, Jim Walker, Paul Wells and Vivien herself. 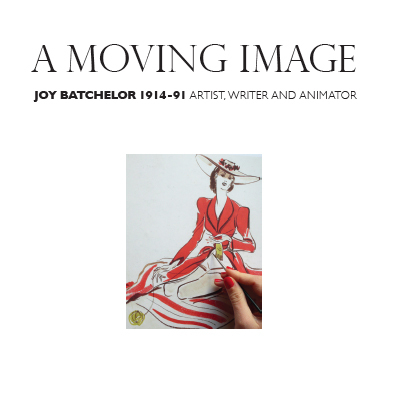 A Moving Image provides an overview of Joy’s life, a detailed look at her career and a fresh focus on her working relationship with John Halas (János Halász), the Hungarian born animator who became her husband and the father of her children, as well as her lifetime collaborator in Halas & Batchelor. 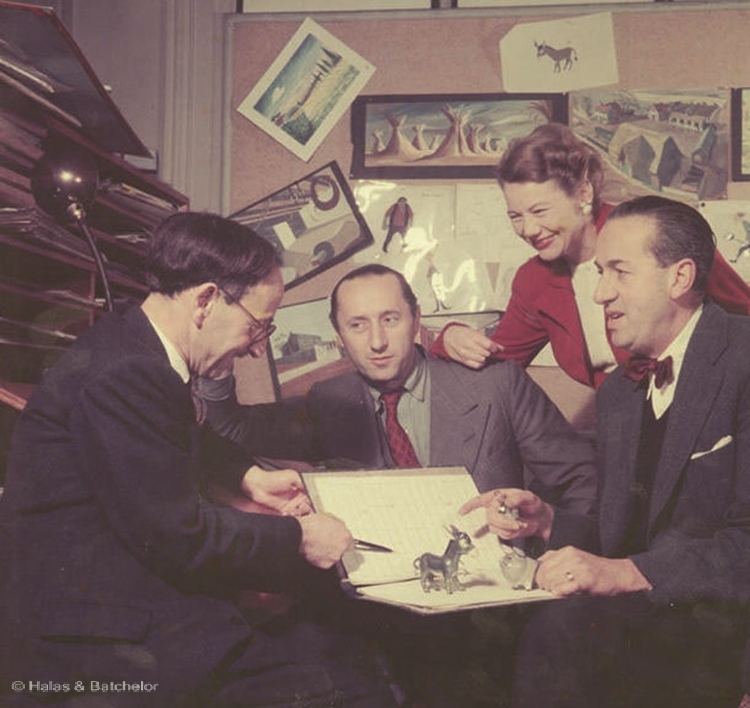 They made a formidable team, achieving world renown, and were undoubtedly ‘the’ early pioneers and innovators in the field of animation, certainly in Britain and arguably in Europe. “Halas & Batchelor gave us all the lead. 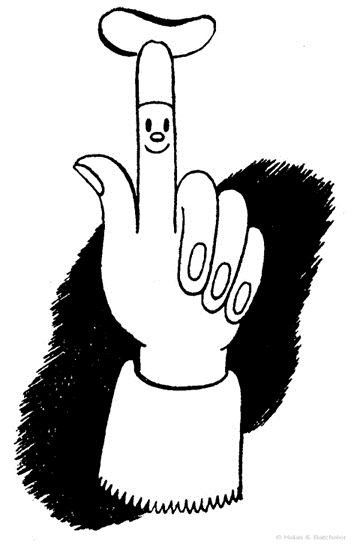 In our early days at Aardman we could only dream of aspiring to their stature.” – Peter Lord, Aardman Animation. In the past, talented women in every professional and creative field have all too often been sidelined, forgotten or blatantly written out of history. In the introductory section author, broadcaster and film critic Brian Sibley opens with an ‘Ode to Joy’ acknowledging his own unwitting earlier bias when covering the Halas & Batchelor studio’s story. The story was invariably told from a largely Halas orientated perspective and might still be without this book. Vivien is uniquely placed to provide interesting personal background, with a balanced view of the working dynamic. What shines through in both her writing and her carefully edited contributors’ pieces is the immense respect held for Joy, not just as an animator, but also as an artist, writer and visionary creative. She excelled in communication too, translating Halas’ undeniable talent into a format amenable to the context in which they worked. 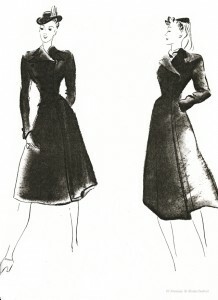 “She had to use her knowledge of England and the English, to facilitate ways in which the Eastern European aesthetics so favoured by Halas might be made acceptable to, and effective for, British companies and audiences.” – Paul Wells, author, academic at the animation academy at Loughborough University. It becomes clear that the business could never have functioned, let alone thrived without Joy. In the earlier days, it was thanks to her contact, Jack Beddington, the influential publicity director of Shell, later appointed as head of the Ministry of Information’s (MOI) film division, that they received a steady flow of work throughout the war. John estimated that they made some 70 films during this period, many of them short 90 second public information inserts for cinema newsreels. With this degree of exposure they soon became household names in Britain. 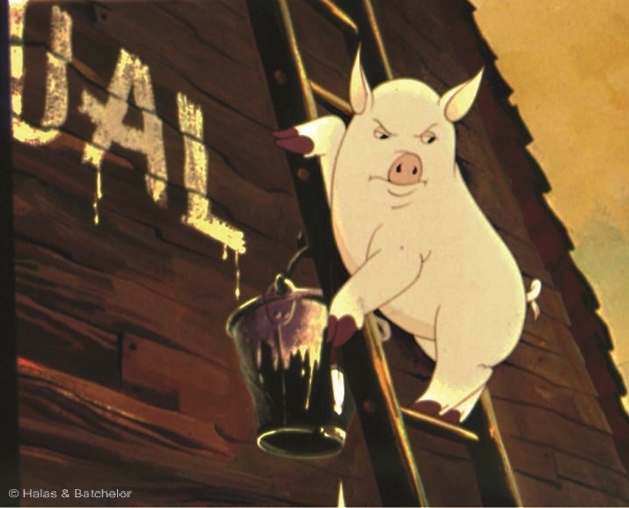 This reputation was cemented in 1954 with the launch of their groundbreaking film, the very first British cartoon feature: Animal Farm, George Orwell’s extraordinary novel, brought to life in animation. 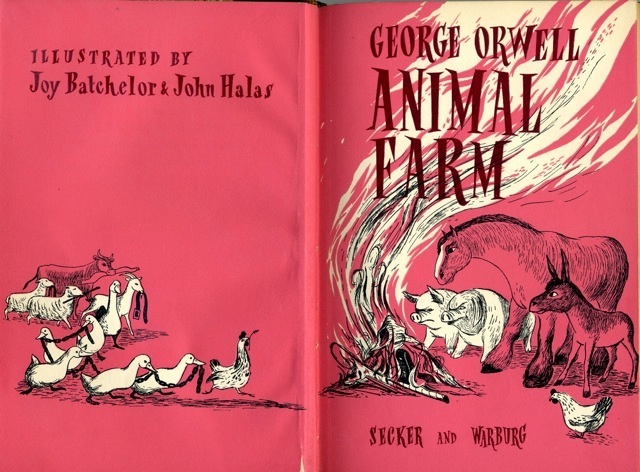 This coincided with the publication of the famous fable in print in the same year. 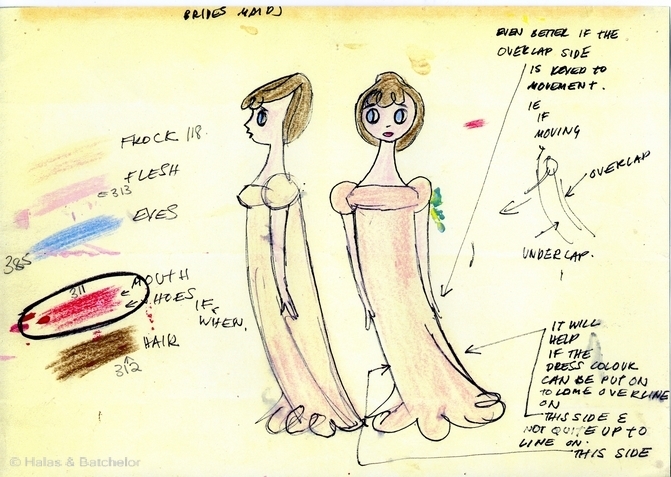 While much of A Moving Image charts Batchelor’s exceptional career in animation, which later led to a teaching role, her other talents, including as a book and magazine illustrator, are also well documented. Jim Walker, an academic specialising in illustration at UCA Farnham and Canterbury, highlights many in his section of the book, ‘A Gifted Illustrator’. There were extensive contributions to advertising, marketing and editorial projects and illustrative work for a series of cookery books, fashion magazines and newspapers. One of the later projects, a film originally commissioned by the British Life Assurance Trust is a perfect vehicle for Joy’s communication and artistic skills as well as her wit. 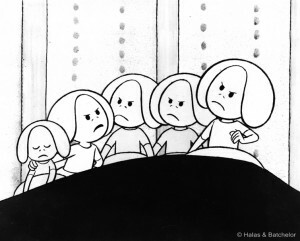 The Five (1970) , is a health information film concerning foot care for pre-teen and teenage girls. 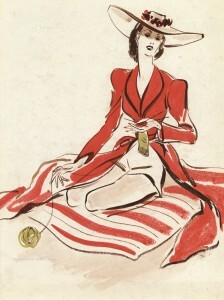 Joy swiftly grasps the fact that humour and a light approach will be the most persuasive in convincing young girls that yearned for fashion shoes may not be the best choice for young feet. 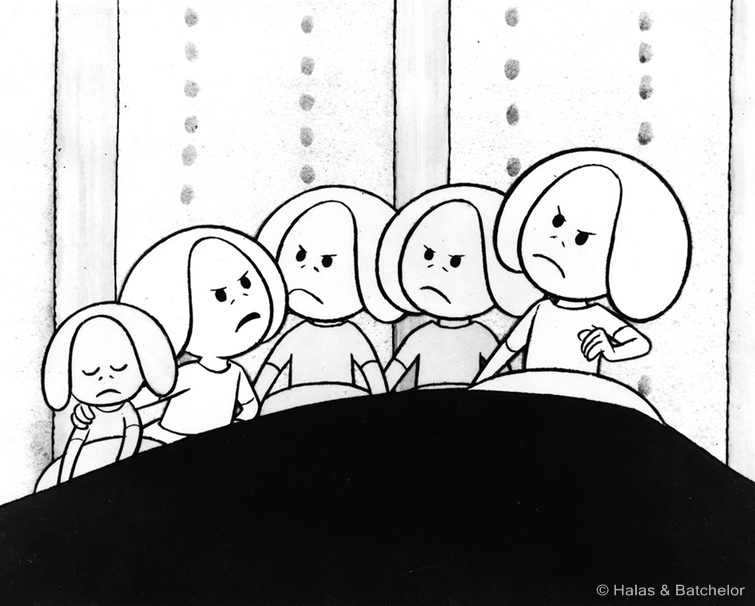 She cleverly creates characters out of the five toes, personifying them as sisters. Needless to say that the little and big sisters at either end suffer the most after a long day out followed by a visit to a disco, and the middle toes are just a tad disgruntled too. “Playful and entertaining, the film uses the particular capacity in animation for anthropomorphism to speak to its audience without patronising or offending them.” – Paul Wells. As the title suggests in an undoubtedly deliberate double entendre, A Moving Image is a heartfelt and overdue tribute to a truly inspiring woman – this limited numbered edition book is definitely worth having on your shelf. There is a detailed filmography at the end listing over 100 films. 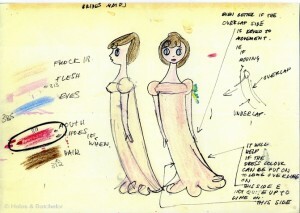 The book also contains plentiful illustrations of Joy’s work, including strips from some of the key films. Further events are planned in Bradford and Brighton. NB The rights to The Five were acquired by The Wellcome Library from the British Medical Association in 2006 along with their film archive.